Solar Sun World is leading the way in providing custom Solar Energy Solutions for Commercial and Residential applications. Specializing in both Solar Thermal and Photovoltaic systems, we have the right solution to meet your energy need. Combining the newest and best Solar Technologies with Solar experts ensures your solution exceeds expectations. We are a systems integrator and offer only high-quality products. All our main products are made in America or Germany. With over 15 years in the European market and 13 years in Georgia, Solar Sun World has the most experience of any contractor in the state. The system components that we use have been tested and approved by a national testing lab. 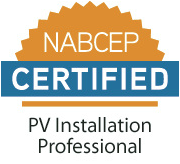 We are one of the few national certified installers for Photovoltaic and Solar Thermal Systems, which is necessary to receive your State and Federal Tax credits. We now provide 25 years of experience within the solar business. Solar Sun World now offers Power Purchase Agreements for commerical, non-profit, and government buildings. Solar Sun World is operated by a very experienced Management Team who's focus is you, the customer. We are also part of the Athens-Clarke County Chamber of Commerce, Athens US Green Builders Association and the Athens Area Home Builders Association!